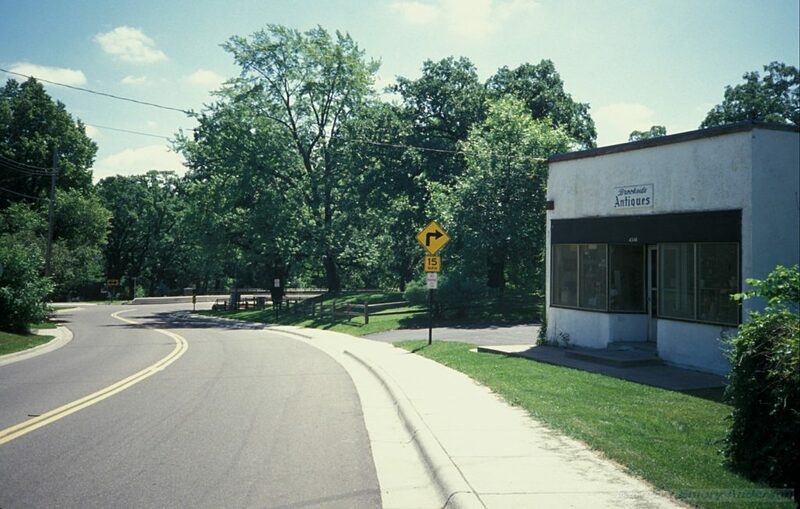 Down Brookside Avenue, around the bend by the Dan Patch tracks, was Brookside Grocery. 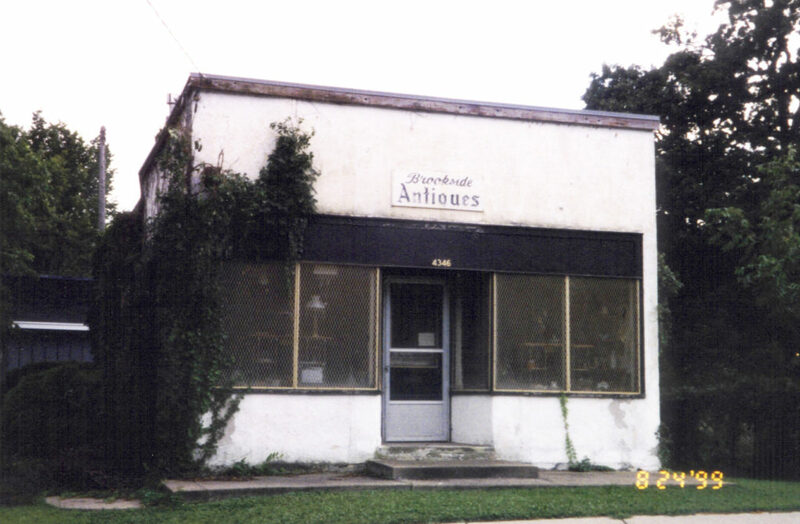 It is unknown when the first store opened at this location. A 1913 map shows that the property was owned by Harriet S. Harley. Dana M. Thompson, proprietor, and his bride Anna/Anne/Ann A. Thompson honeymooned at their cottage on the Creek behind the store, noted the 1915 paper. Thompson was born June 21, 1880 and died in March 1966 (while visiting his daughter Patricia in California). Thompson was an active participant in local affairs, serving as a member of the school board and the Village Council. The tale is told that he hired a sleigh to ensure that voters got to the polls for an important vote regarding Brookside School. Thompson was also known for his ever-present bow tie. Mrs. Thompson was active in Indian affairs in the 1930s. The hill behind the store was known as Thompson’s Hill, the best place for sliding in the winter, and the kids would go into the store to warm up. In 1924, records show that Anne sold part of the vacant land along the creek to the Village for $75 in order to place a street. At some point the house went from a cottage to a two-story Dutch colonial. It has since been reconfigured. In 1968 the house was purchased by Alden and Thelma Syverson, and he did major reconstruction to the house. Thelma died in 1977, and Alden died in 2004. 1915: The Dan Patch Railroad is constructed just feet from the store. Unclear which came first. The store became a station for the railroad. 1918: The MN&S Railway (formerly the Dan Patch) Timetable No. 3, effective December 29, 1918, lists stations (or at least stops) at St. Louis Park, Excelsior Ave., Thompson Ave., and Brookside. Since the Thompsons’ store was between Excelsior Blvd. and Brookside Ave., one may presume that the stop was at the store. There is no Thompson Ave. listed on any St. Louis Park map that we know of. The Hennepin County Review of June 7, 1928 said that Thompson was tearing down the original store, which had stood vacant for 12 years since he built the new one. 1940-47: Lindstrom’s Food Market, operated by Reynold D. and Mildred Lindstrom, who lived at 4308 Brookside. 1948: Francis Seifert ran Seifert’s Grocery – he lived at 4083 Utica Avenue. 1954: Lloyd’s Upholstering Co. was listed in the directory at this address. 1955: In October neighbors protested the use of the building by Warren Builders and Fabricators, who made Formica counter tops. 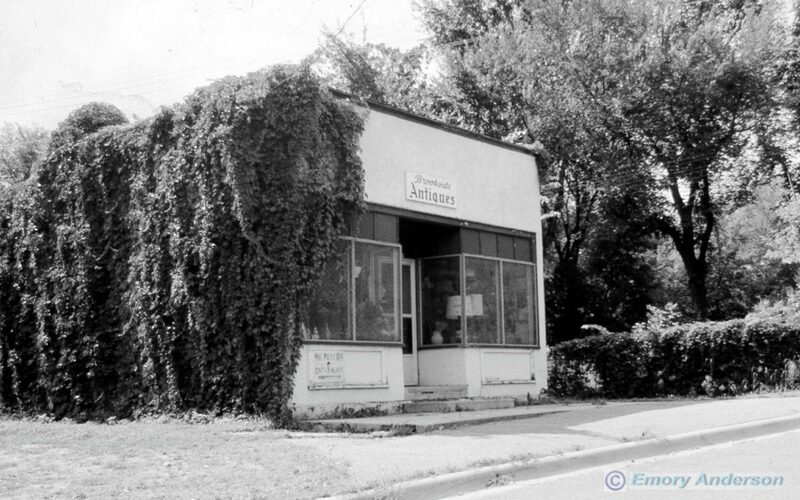 1956: Dana Thompson obtained a permit to use the building as an office only. 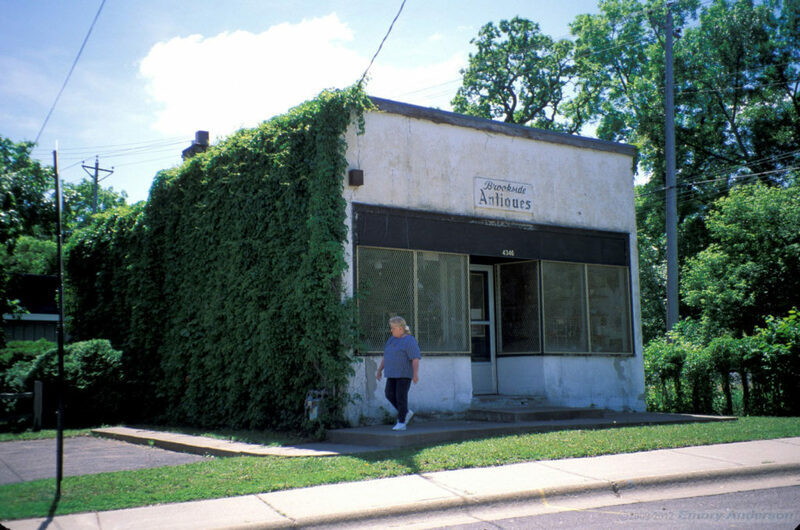 1970: Thelma Syverson ran Brookside Antiques until she died in 1977. Alden Syverson continued to sell off the items, but bought no more. 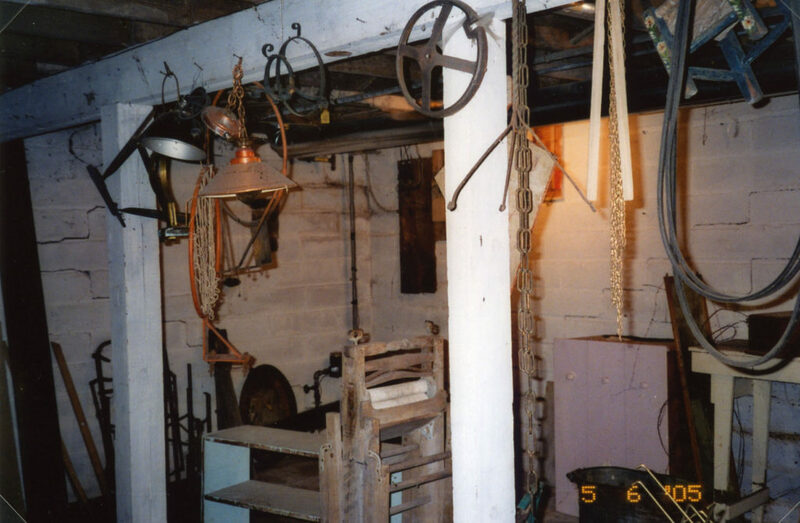 In 2005 the owner of the building gave us a rare peek inside, revealing an antique shop that was truly frozen in time. Below is a photo taken in the basement of the ancient building. Most of the “antiques” had been ruined for lack of attention.